Spring rolls are an appetizer, eaten either fresh or fried depending on the country of origin. Spring rolls can be found in several Asian countries, most notably China, Vietnam, Indonesia and Cambodia. Left: Chinese spring rolls on sale. In Chinese cuisine, egg rolls differ from the spring roll. There are sweet spring rolls with red bean paste inside from areas in Eastern China, such as Zhejiang and Northern China. Spring rolls are usually eaten during the Spring Festival in China, hence the name. 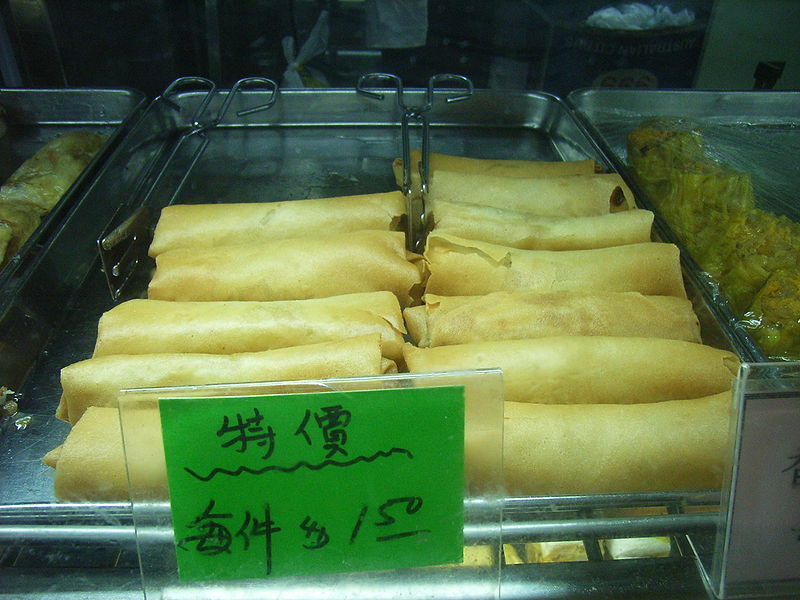 In Taiwan, spring rolls also come in a number of varieties. They can generally be divided into fried and non-fried varieties. Fried spring rolls are generally smaller and crisper. They can be sweet or savory; the latter are typically prepared with meat or vegetables. This version is fully wrapped before being pan fried or deep fried. Non-fried spring rolls are typically bigger and more savory. In contrast, non-fried spring rolls typically fill the wrapping with pre-cooked ingredients. Traditionally, non-fried spring rolls are a festive food eaten during the Cold Food Day festival and the Tomb Sweeping Day festival in spring to remember and pay respect to ancestors. In northern Taiwan, the ingredients are generally flavored with herbs, stir-fried and sometimes topped with a finely ground peanut powder before being wrapped. The northern-Taiwanese style spring roll is usually lightly topped with or accompanied by a soy sauce. In southern Taiwan, the ingredients are generally boiled or blanched in plain water. Sometimes caster or superfine sugar is added along with the peanut powder before all the ingredients are wrapped. 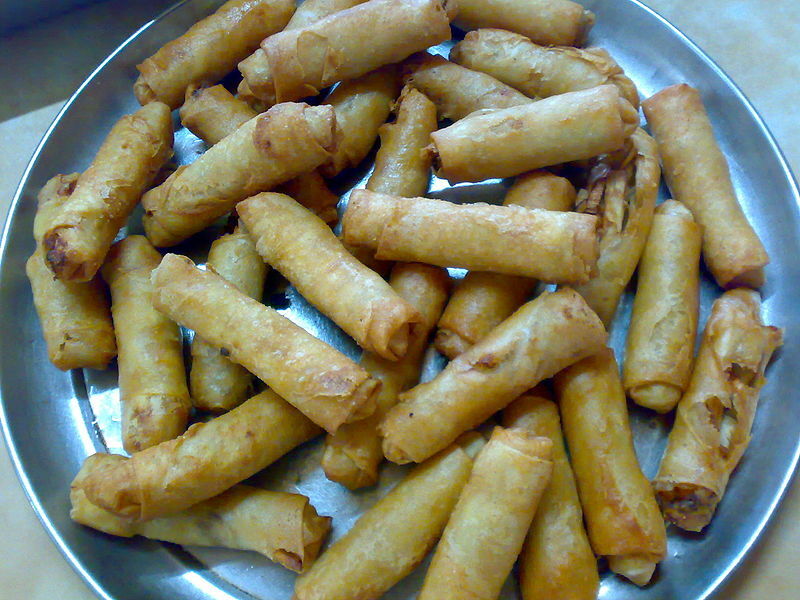 Lumpia is the name for spring rolls in the Philippines and Indonesia.